Issue #3 of the hot new series—OBLIVION SONG—from New York Times bestselling writer Robert Kirkman (THE WALKING DEAD, OUTCAST BY KIRKMAN & AZACETA) and breakout artist Lorenzo de Felici is being rushed back to print in order to keep up with rapidly growing customer demand. 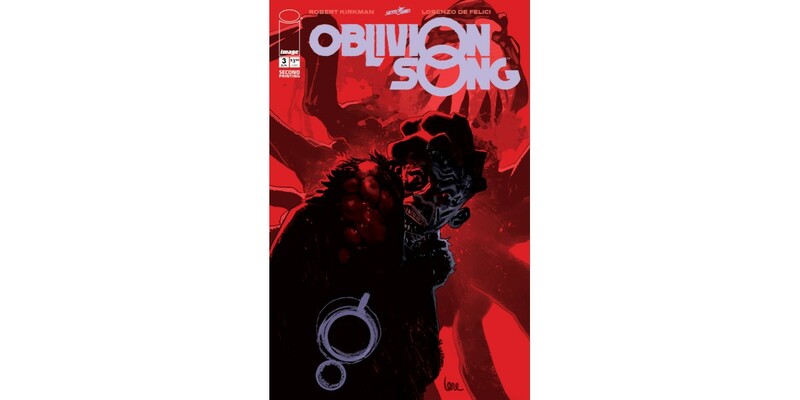 PORTLAND, OR, 5/16/2018 — Issue #3 of the hot new series—OBLIVION SONG—from New York Times bestselling writer Robert Kirkman (THE WALKING DEAD, OUTCAST BY KIRKMAN & AZACETA) and breakout artist Lorenzo de Felici is being rushed back to print in order to keep up with rapidly growing customer demand. OBLIVION SONG #3, 2nd printing (Diamond Code MAR188797) and OBLIVION SONG #4 (Diamond Code APR180613) will hit stores on Wednesday, June 13th. The final order cutoff deadline for retailers is Monday, May 21st.